Um, yeah. Marvel you will at this one. Dark mahongany foliage with large true red flowers. 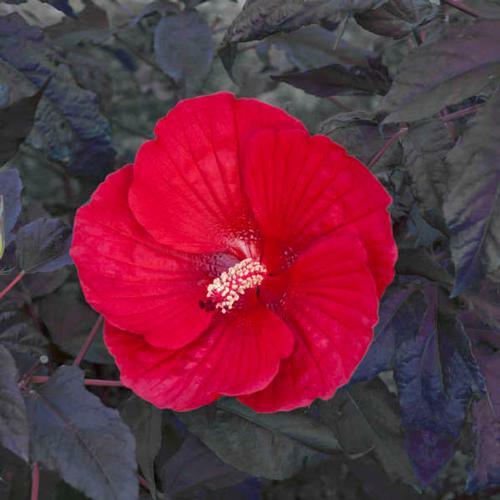 One of the greatest things about hibiscus is that its peak arrives exactly when the rest of your annuals are getting tired so the timing is perfect.